The Update Automatism is different from the known Update mechanism (Update, WSUS and C2R [Click 2 Run]. Fixed a few regression issues that caused the sync client to crash. 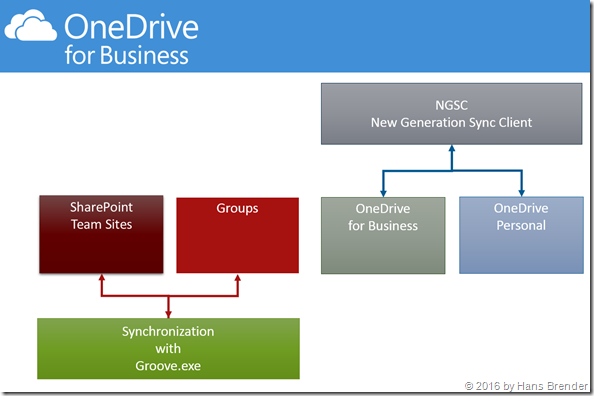 This time exist three different Sync-Clients to OneDrive, OneDrive for Business, SharePoint Team Site (Office 365) and Groups (Office 365) and the different on Premise Variants. And if you use Windows 10 OS, you have installed the NGSC on your device. 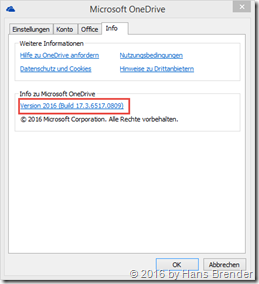 In this Blog Post (German language) I have described, where you may download the old Groove Client. The always newest Windows Version you may download directly form Microsoft here. You also may give feedback to Microsoft about OneDrive and OneDrive for Business via UserVoice.